Significant progress is occurring in all areas affecting public safety broadband utilization. The First Responder Network Authority (FirstNet) continues to enhance their vision for a nationwide public safety LTE system. 3GPP continues to advance standards that will support public safety use of broadband networks and systems. Commercial wireless providers continue to offer new and improved services for both public safety and the public. 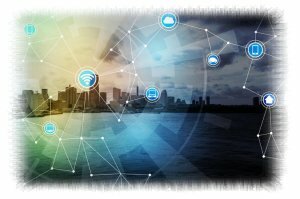 One emerging topic involves public safety's use of sensors and other devices, which are broadly referred to as the "internet of things" or IOT. The general public is also engaging with the use of sensors and devices that are expected to interface with PSAPs, and in some cases, directly with a first responder. The Working Group reviewed edits to their eighth use case involving a number of Internet of Things solutions to a multi-agency response to a school shooting. This use case involves a response to reports of shots fired inside a high school. It focuses on the use of PS IoT technology to support situational awareness and data exchange between multiple law enforcement agencies, the fire, and EMS units, and the PSAPs that support these responders. Additionally, IoT sensors systems in the high school designed for safety and security also transmit data to first responder agencies. These types of incidents represent an extremely high risk to life and safety of civilians and first responders. Accurate and timely information exchange is paramount to a successful response. This use case attempts to avoid repeating the discussion of various IoT solutions which were analyzed in earlier use cases, even if those IoT solutions would likely be used during this incident. This use case specifically focuses on a public safety response to a high school, which is equipped with IoT sensors and related safety and security applications. These IoT solutions are specifically designed to detect emergency incidents, execute automatic safety protocols, and transmit data to public safety agencies in an emergency. This use case also addresses the need for IoT data interoperability and sharing among different public safety agencies. The initial seven use cases have been combined into a single document as the initial draft on their first report.